However others might say "giclee" doesn't mean "to spray,” that "Giclee" isn't an infinitive and that it is the feminine of a past participle. So if there is some argument over what the term Giclee means I believe that the intention of the term is to define a printed copy of an original artwork. Giclee is basically scanning the artwork and then using that scan to print it out on a special printer. This printer is not the same as a standard desktop inkjet printer, and is much larger. 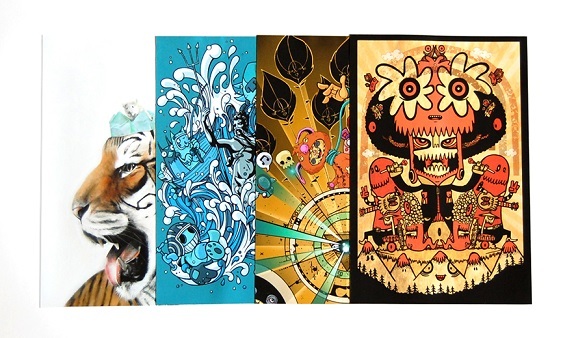 Giclee prints are a little over a meter wide and are often referred to as a “knitting machine” as they look very similar. Giclees are produced from digital scans of existing artwork. Also, since many artists now produce only digital art, there is no "original" that can be hung on a wall. Giclees solves that problem, while creating a whole new vibrant digital medium for art. When printing, there are any number of media, for example canvas to watercolor, paper to transparent acetates. Giclees are better than the traditional lithography in many ways. The colors are brighter, last longer and are so high-resolution that they are virtually continuous tone, rather than tiny dots. The range of color for giclees is far beyond that of lithography, and by viewing in comparison with each other you will find that the details are far crisper in giclee. Lithography prints use tiny dots of four colors--cyan, magenta, yellow and black; to fool the eye into seeing various hues and shades. Colors are "created" by printing different size dots of these four colors. 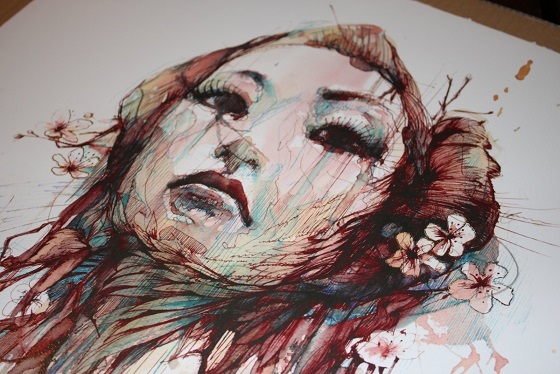 Again Giclees use inkjet technology, but more sophisticated than your desktop printer. The process employs six colors--light cyan, cyan, light magenta, magenta, yellow and black--of lightfast, pigmented inks and finer, more numerous, and replaceable print heads resulting in a wider color gamut, and the ability to use various media to print on. The ink is sprayed onto the page, actually mixing the color on the page to create true shades and hues. Giclees were originally developed as a proofing system for lithograph printing presses, but it became apparent that the presses were having a hard time delivering the quality and color of the giclee proofs. They evolved into the more popular form over lithography’s and are now the cheaper and more common way to make a copy print. They are coveted by collectors for their fidelity and quality, and desired by galleries because they don't have to be produced in huge quantities with their large layout of capital and storage. In addition, Giclees are produced directly from a digital file that is created by scanning the original. This will save generations of detail-robbing negatives and printing plates, as with traditional printing.